It’s time again for my contribution to this month’s #AuthorToolBoxBlogHop where dozens of experienced writers share their thoughts and experiences. I encourage you to check out their posts by clicking on the icon at the bottom. Writing books is my aspiration and an avocation that continues to move in the right direction. After working three decades in corporate America, I retired in my mid-50s and released my first self-published novel shortly thereafter. I’ve since published five additional novels and two short story collections. My recent release, At the River’s Edge, has been my best-selling book to date. I’ve been asked, At your age, why start a writing career? My answer is simple. Writing is ageless. It requires inspiration, imagination, and hard work, none of which are limited by age. Like learning, writing is a life long process. As long as you can learn, you can write, and in many ways, being older is an advantage. With age, come experience, wisdom, and perspective, things that can’t be taught, and all are valuable assets for a writer. Writing has also introduced me to interesting readers and writers of all ages, people I would not have met otherwise. Laura Ingalls Wilder lived her life as a farmer and a teacher, publishing her first book, Little House on the Prairie, at 64. She wrote her final book at 77. Wallace Stevens, winner of the 1955 Pulitzer Prize, spent a long career as an insurance executive, publishing his first book of poetry at 44, with the majority of his poems written after the age of 50. Raymond Chandler was an oil executive before he started writing detective stories. At the age of 51, he wrote The Big Sleep with character Phillip Marlowe making his first appearance. He went on to write seven more novels. J. R. R. Tolkien published The Hobbit at 45 years old, and didn’t publish Lord of the Rings until he was 63. Granted, many of these late-in-life writers became authors in the early to mid-1900s. Today’s writers face broader and more diverse competition, fast-evolving marketing and advertising media, as well as rapid growth in self-publishing. It’s a complex world for new authors. At times, I feel technology is a barrier for older writers. I didn’t grow up with iPhones, tablets and social media. I was nearly 40 when I purchased my first cell phone, and it was the size of a brick! What’s second nature to younger writers requires more effort for me. Still, I’ve slogged through setting up a website. I formatted and self-published my e-books and paperback novels on Kindle Direct Publishing. I’ve learned how to market my books on Facebook and Amazon. And here I am, posting on an authors’ blog hop–something I didn’t know existed a few years ago. Don’t hesitate. You can do it. Learn from other writers. Join writing workshops, writers’ groups, and author blogs. Focus on writing. Websites, social media, and marketing can come later. Dedicate sufficient time, and be proud of what you produce. Engage an experienced editor and beta readers before publishing. I didn’t need to look far for my motivation to take up writing at my age. Now 89, my father, a former building contractor, was an accomplished wood carver into his early 80’s, demanding high prices for his productions. My mother, at age 86, had her knee replaced. She could have easily avoided the surgery and watched the world pass from a chair on her sun room, but she had things to do and places she wanted to go. Mom is still going places… and I still have books I want to write. 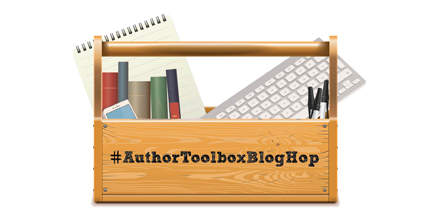 To enjoy other great blogs in the monthly #AuthorToolboxBlogHop or to join, click HERE. Check out my latest novel, At the River’s Edge, on Amazon.com. Learn what Emily and James discover on the bank of the New River that propels them into the path of a killer. I can definitely relate to your feelings about the digital/online component of modern publishing. Seems like there are so many things that writers are theoretically supposed to do that have nothing to do with writing. Of course I imagine that in other forms that was still true in years gone by. In some ways I feel like the abundance of methods for online self promotion can easily become a red herring. Granted, I do believe in the importance of an online presence of some sort, but I think trying to do it all just results in doing all poorly. And, as you point out, there’s much to be done, writing and otherwise. I agree, Adam. Trying to do it all can lead to doing it all poorly. I try to focus on writing first, but after launching a new book, it’s hard not to keep looking at sales and tweaking ads. Sometimes I feel like a cat chasing a beam of light. Mmm. Sometimes I think there are things that have to be resolved, itches that have to be scratched, if you will, before we can clear our minds of clutter and approach writing with a clean slate. I favor meditation, though sometimes I just admit that what I really need is a bit of fun before settling down to business. What a fantastic post! I didn’t realize those authors hadn’t published until those ages. Have you ever heard the term “encore career?” It’s about, once you’ve put in your time building to retirement, choosing a new career, something that’s more about your happiness than making money. Thanks for stopping by, Ronel. Hope your new year is off to great start. Inspiring post 🙂 I didn’t realise Tolkien was 63 when he published Lord of the Rings! Technology changes so quickly: I feel like I’m behind the times a bit. Apparently Reddit is becoming one of the top social media sites! There’s always something new to learn, and to distract me from finishing my books! I love this advice, DR! More power to you, sir. It’s never too late to live the dream. And bravo on your recent novel doing so well. All the best to you in 2019! Very inspiring post. I was first published at age 50 and I’m not slowing down. Writing is a second career for me. You’re right: writing has no age requirement! And look at all you’ve accomplished by believing in yourself!